Have a question for Ferrabrel Beach Resort? When visiting Camiguin, you'll feel right at home at Ferrabrel Beach Resort, which offers quality accommodation and great service. From here, guests can enjoy easy access to all that the lively city has to offer. 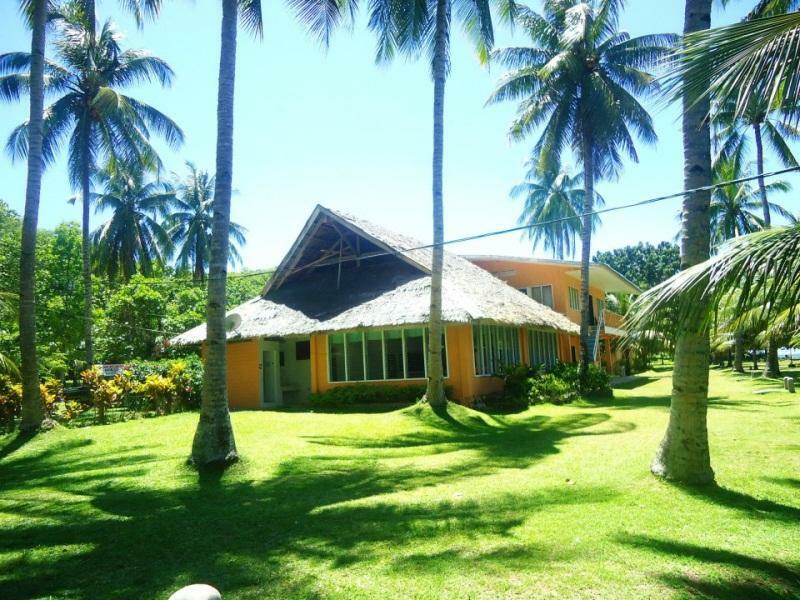 This modern hotel is in the vicinity of popular city attractions such as San Nicolas de Tolentino Parish, Camiguin Airport, White Island. Ferrabrel Beach Resort offers impeccable service and all the essential amenities to invigorate travelers. This hotel offers numerous on-site facilities to satisfy even the most discerning guest. Ferrabrel Beach Resort is home to 12 bedrooms. All are tastefully furnished and many even provide such comforts as linens, towels, air conditioning, toiletries, shower. The hotel offers many unique recreational opportunities such as private beach. Enjoy unparalleled services and a truly prestigious address at the Ferrabrel Beach Resort. We were lucky because are group was the only guest in the resort at that time. It feels like we rented the whole resort and the staff are very accommodating. Their breakfast meal is very delicious. The accomodations were okay. We had the family room which had 5 single beds. We were a couple with two teenage daughters. The food was okay but by the second day no vegatables were available. Also when we ordered supper on the second day the fish was not available. Fruit for dessert only consisted of a banana. Other types of fruit should have been available. I would still come back to this resort for a stay. Please note that there is no sand for the beach. Low price, friendly personnel, simple yet pleasant surroundings, wifi is ok.
Low price, friendly personnel, simple yet pleasant surroundings, wifi is ok. The resort is good if you plan not to stay the whole day there; that is, if you have places to go to during the day and just wish to have a place to stay at night. However, since price is low for the Guest Room we got, there is no TV. We watched TV during dinner at the canteen. Canteen had no fans, though. The beach fronting the resort has mostly rocks instead of sand which is under the rocks. The rocks were also mossy. In short, the beach fronting the resort is not ideal for swimming.